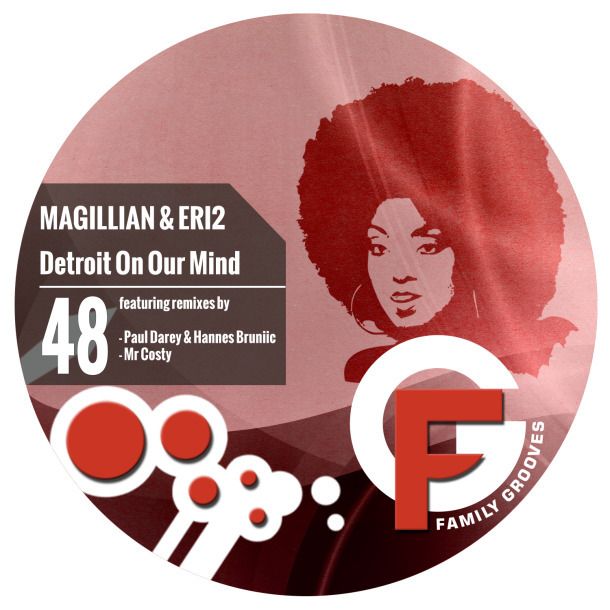 We are happy to announce that Magillian & Eri2 are back on Family Grooves with a fresh single “Detroit On Our Mind”. The original is a proper dance floor banger in a manner of some vintage Detroit classics, but that was not enough! Paul Darey & Hannes Bruniic transformed the track into a modern banging techno material, while Mr Costy went deeper and even more hypnotic in his interpretation. A must have package for all dance floor bangers out there!